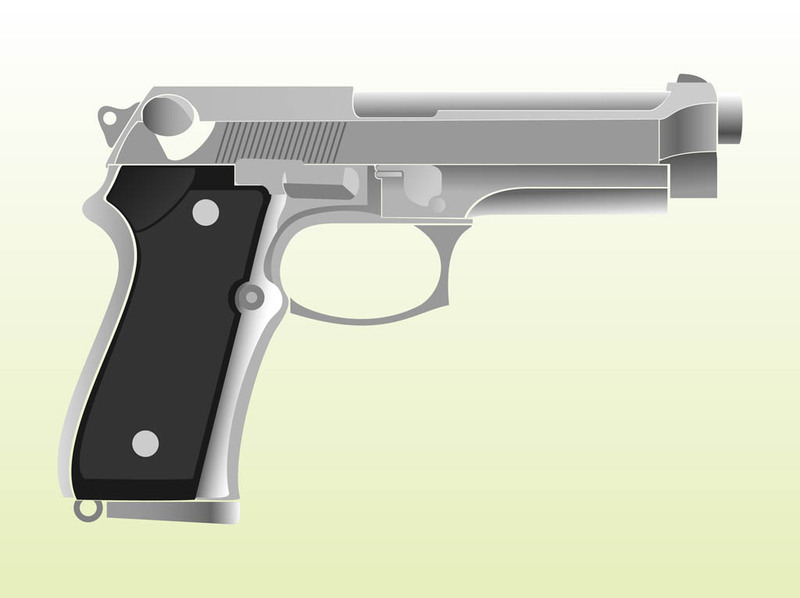 Handgun vector footage with gradient metallic surfaces and dark handle. Firearm seen from the side to create adverts, T-shirt prints and weapon store logos. Free vector for firearms, weapons, weaponry, shooting, guns, handguns, violence, criminals, murderers and law designs. Tags: Firearm, Gangster, Handgun, Kill, Metal, Shoot, Weapon, Weaponry.